May 5, 2017 – Dolly Parton’s My People Fund presents final checks to families and makes a long-term investment in future recovery efforts! Smokies Strong, a title the people of Sevier County, TN, have more than earned in the aftermath of the devastating wildfires. They displayed their strength and courage on the very night the fires started and have continued to do so in the following months. 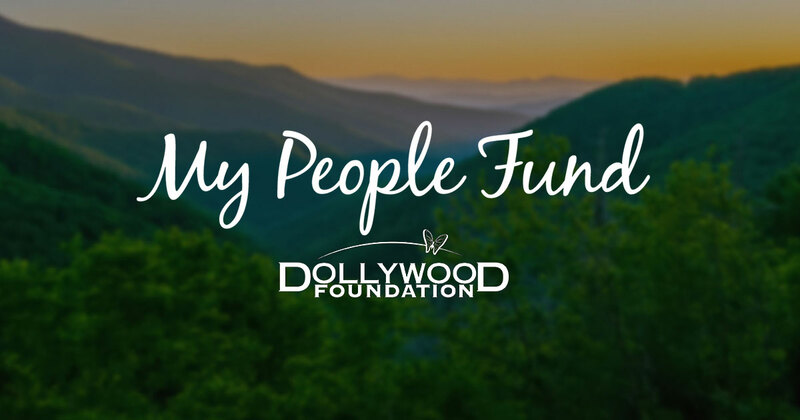 The Dollywood Foundation established the My People Fund just 48 hours after wildfires swept through the county on November 28, 2016. Each month, starting in December 2016, the My People Fund gave $1,000 to every family whose home was lost or destroyed in the fires. May marks the end of the Fund’s six-month pledge to assist the recovery efforts. Due to the tremendous outpouring of donations and support, the My People Fund was able to increase the amount of the final distribution checks from $1,000 to $5,000 (per family). In total, $8.9 million went directly to wildfire victims.